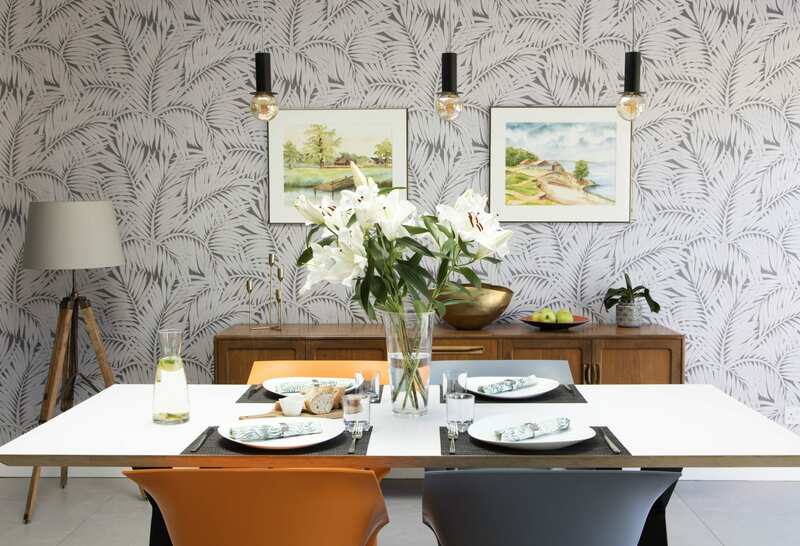 We converted this 1930s semi detached house into a light and specious family home, where every inch of space was carefully designed, and custom made to the family needs and requirements. 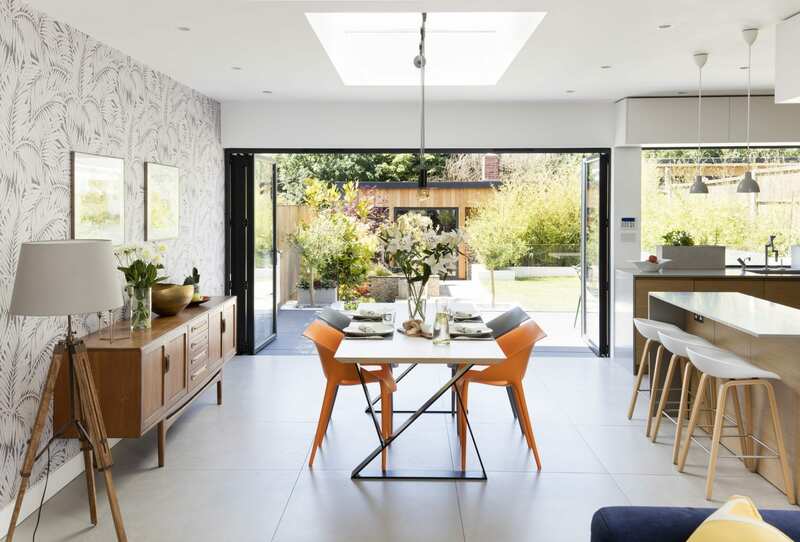 As the owners enjoy cooking and entertaining, we combined the kitchen and dining to create an open plan space to encourage easy movement from one space to another. 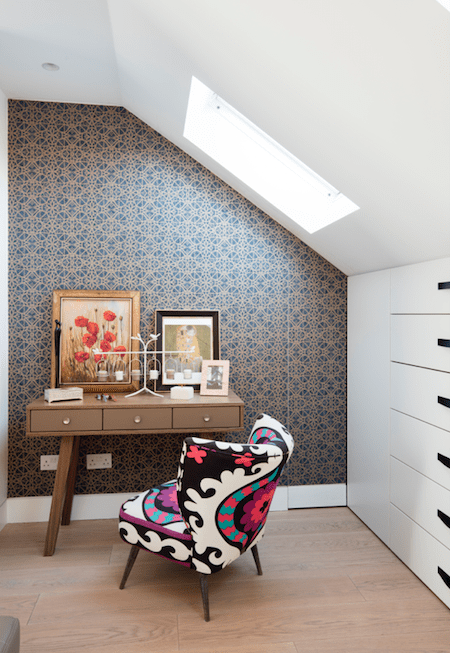 The bespoke wall organisation system design and produced by Amberth allows for maximum storage space in this family kitchen. 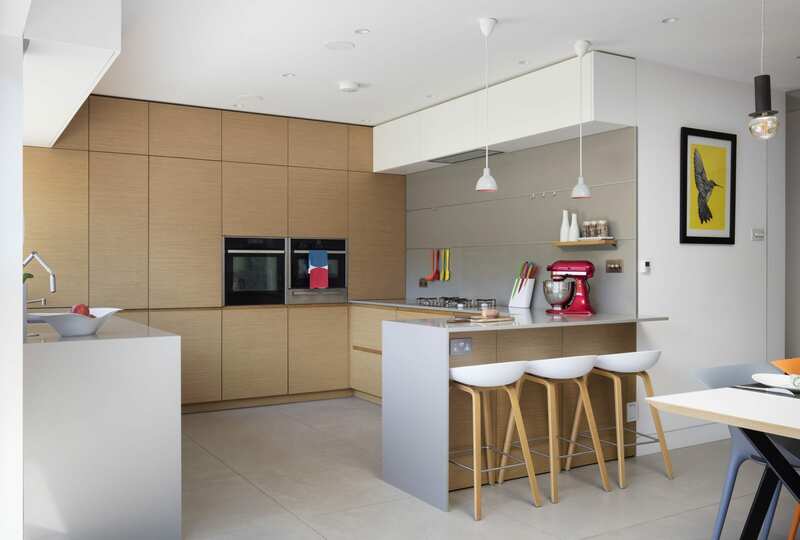 The angular shape of the kitchen worktop and breakfast unit echo the unique contours of the kitchen itself. The glass metal frame partition was influenced by their love for music; they play musical instruments and often listen to music. 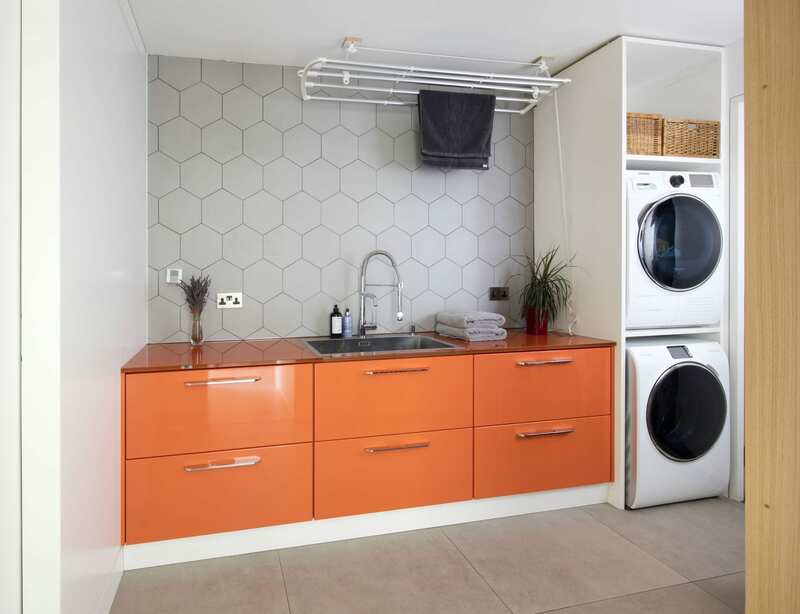 The absence of windows in this laundry room has been addressed by transforming the units into a statement colour of orange. 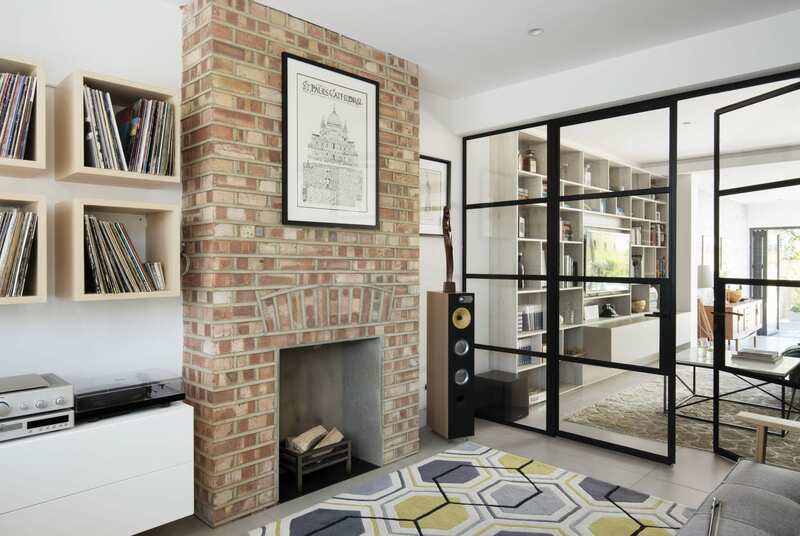 Steel partition doors between the living room and the music room add character to the space. 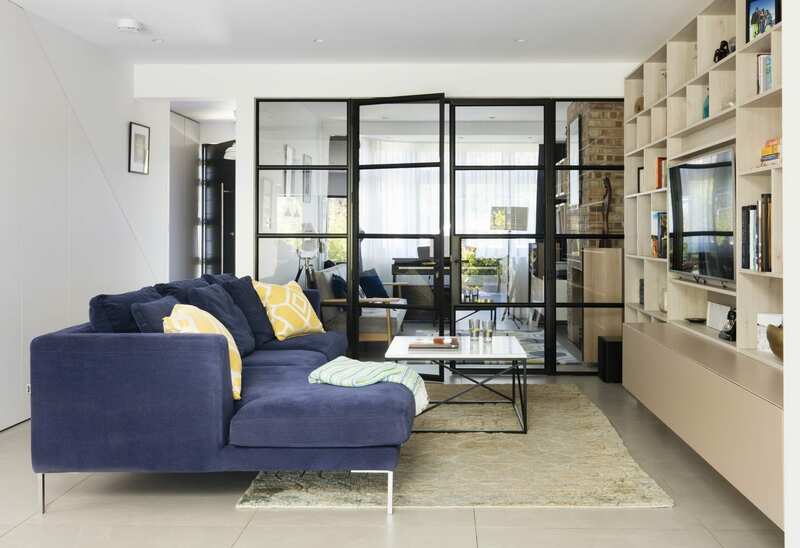 It also allows for natural light to flow through to the living areas in the middle of the house. 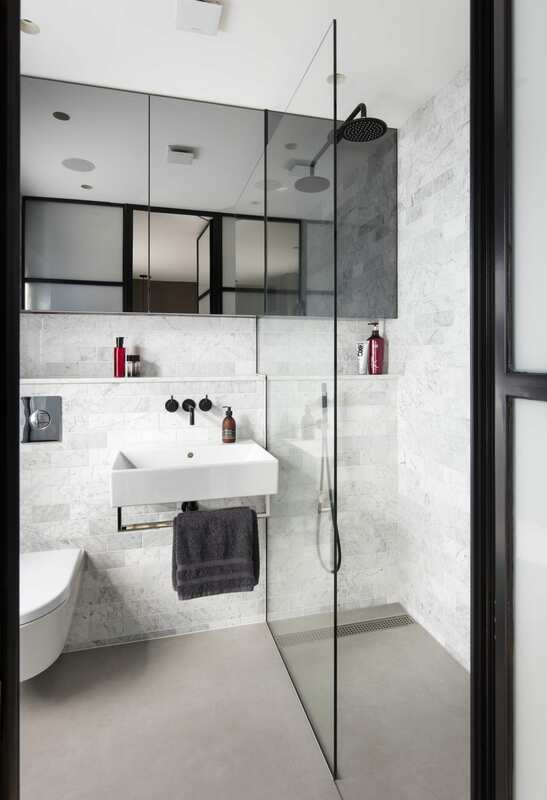 The mirrored wall cabinets reflect the natural light entering the space to give the illusion of more space. 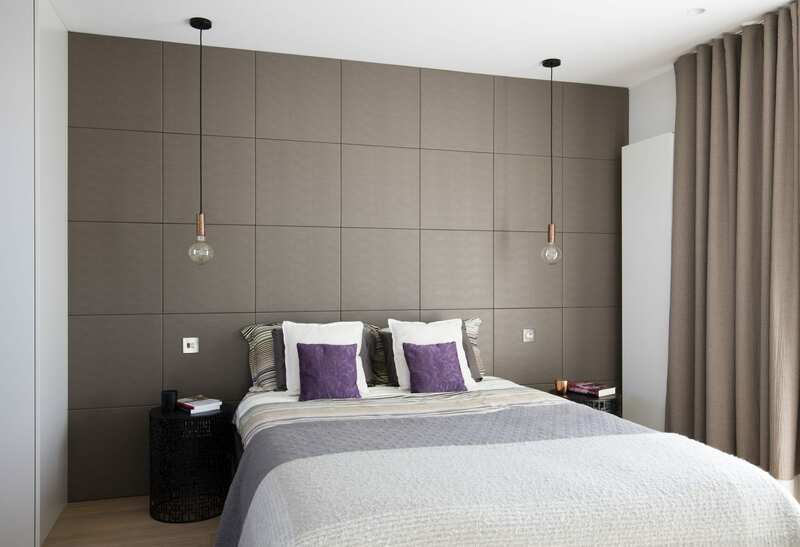 Faux leather square panels designed and made for Amberth by one of our local upholsters, add character and create an interesting head board area behind the bespoke bed made of reclaimed wood. 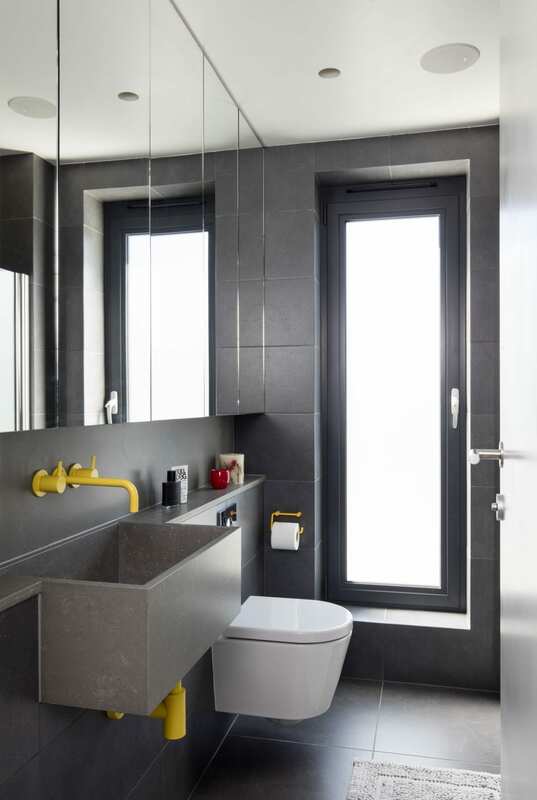 Charcoal grey, floor-to-ceiling tiles, create a seamless look and built-in basin with a composite countertop, splash-back and bath surround for a matching look. A brave choice of bold blue has been used for the cabinetry to give a dramatic look in this boys bedroom, enhanced by the muted grey tones. 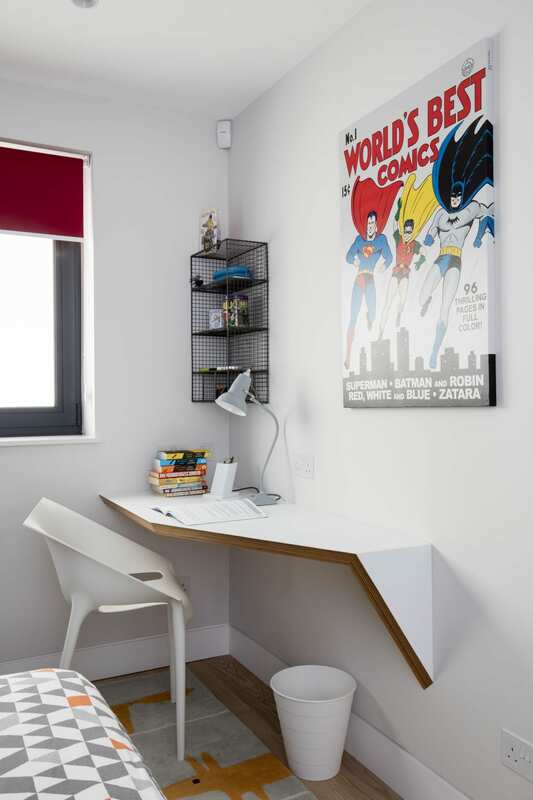 The bespoke desk top in this bedroom designed and produced by Amberth is a smart and sleek alternative to bulky desks.